You may have heard that a great content management system (CMS) can help you make the most of the content you create for your website, and that’s true. But are you slowly admitting to yourself that you have no idea what a CMS is and that you’re a little afraid to ask? Don’t worry…we all have to start somewhere. Whether you’re new to creating online content or just ready to move up to a better and more streamlined way to do things, here’s what you need to know about content management systems. Let’s start with the basics—what the heck is a “content management system,” anyway? A content management system is an application that allows you to add and edit website content, as well as perform a number of other functions that help you manage your website and marketing efforts. Those “other functions,” though, are what makes each CMS unique. Basically, a CMS helps people who don’t have a lot of technical expertise become their own webmasters. A CMS helps you publish content to your website, decide how it will look on the page, make changes to existing content, and may offer some behind-the-scenes functionality for other marketing tasks—all in one place and without the need for a skilled IT employee. How Is a Powerful CMS Different From Something Like WordPress? Close, but wrong. Although WordPress can be arguably classified as a simple CMS, it may be too simple for a professional website. Don’t get us wrong—it is an awesome tool for some small content creators out there, but it also has serious limitations if you want to break free from the restraints of online-only content or stand out from your competitors. WordPress and similar tools may seem easy and functional at first, but they are surprisingly easy to outgrow. If you need to change the look of your site, curate your content, keep track of visitors, or do anything that isn’t just loading written content into a generic template, using something like WordPress can become more of a roadblock than an express lane to success. It’s a ton of do-it-yourself work that can be prohibitively complicated—and there’s little guarantee that your plug-ins will load and run quickly even if you manage to get your site looking just right. If your business or organization has expanded to the point that you’re spending hours of precious marketing time reading through user forums and fighting with WordPress to make it do what you want, then it’s probably high time for an upgrade to a more powerful CMS. 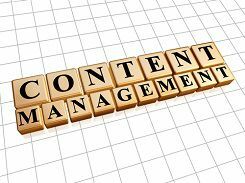 Are you ready to see if our content management system is the right fit for your needs? Contact Foster Web Marketing today for a free demonstration of DSS™ in action, and find out if it’s the powerful website solution you’ve been looking for. Why Can’t I Just Use WordPress?